Not all drugs are created equal. There are thousands, probably millions, of drugs today and they have different components and effects on the body. In some cases, you find few drugs that perform similar functions. However, one fact everybody can agree on is that different drugs affect the body in different ways. ​​Some drugs are sufficient to eliminate slight ailments. While some are so powerful they are deemed strong enough to tackle serious problems in the human body. Some drugs are so powerful that they can alter the brain. Yes, alter the brain! There are many ways to take a drug in. The method you choose will affect how fast it reaches and affect your brain. For instance, when you take a drug orally, it has to go into your digestive system and navigate that before it gets adapted into the blood. However, when you take a drug through injection, it goes directly into the blood. Since blood flows throughout your body, any drug that gets to your blood will also get to your brain shortly after. Although it’s not always a simple process. This is because not all drugs are able to get into the brain the same way. And that’s why drugs have different effects on the brain. ​​One certain thing is that for the same drug, taking it through injection will affect the brain faster than if taken orally. That is why most prescription Opioids are manufactured in tablets. They are to be used orally so that the drug can be released into the blood, and consequently the brain, gradually. It is dangerous for such drugs to be released once into the bloodstream. Because it can lead to overdose and have all the unwanted side effects that are dangerous to the body system. The reality is that many people take drugs like Opioids through injection. Most of these people do it without the recommendation of their doctors. But why do people decide to take injections of these drugs even if it is risky to their health? Is it insufficient as an oral dose? This is where the issue of tolerance comes in. Not everyone who becomes addicted to drugs started out to become addicted. Some people started using some drugs, like hydrocodone or other Opioids, to reduce slightly to severe pain. But after a period of time, they become hooked to the drug. When people start getting hooked to a drug, they usually require a bigger dose of the drug to feel the same high. When people require higher doses, they usually lose control of their behavior and start to overuse the drug. And when the drug starts to wane in their system after their last dosage, they may start to feel the withdrawal symptoms of the drug. Strong withdrawal symptoms like vomiting and restlessness can push people to the edge. Which means they have to use the drug as soon as possible to feel okay again. In some of these cases, an addict who is already feeling the pain of withdrawal symptom may be impatient to use this same drug orally. As that will take a bit of time before it goes into the brain. They need it immediately. This often leads people to either sniffing the drug or taking it through injection to have a faster effect. But how do people get hooked on drugs? Because these drugs affect some functions of the brain. How? These drugs affect how neurotransmitters function in your brain. Before we go on, what is a neurotransmitter? The brain consists of a large number of neurons. About 100 billion of them. Neurons are cells in the brain. The basic function of neurons is they transmit chemical and electrical signals through the brain. When you read a book, or when you see a car that has lost control coming towards you, the neurons (or nerves) in your brain helps to process this information. When you consider it, there are various means through which this information are going to your brain. In some cases, you see the car. Even if you’re not looking, the driver may attract your attention by using the car horn. You may also feel the vibration of the car. All these transmit information to your brain that helps you to take the decision to run to safety from the oncoming car. These actions are possible through the communication between the neurons in your brain. A neuron receives information through the dendrites. But for a neuron to receive this information, it has to receive it from another neuron. The signal comes from the axon (at the terminal button) of the sending neuron into the dendrite of this neuron. The excitatory signal: this signal excites the neuron to activate it. The inhibitory signal: this signal tells the neuron to remain passive. When the number of excitatory signals exceeds the number of inhibitory signals, the neuron activates. When this happens, a chemical-electric signal is created at the top of the neuron and travels through the neuron until it reaches the axon of the neuron at the terminal button. When the signal reaches the axon of the neuron, it transfers the signal to another neuron. How does this transfer take place? Neurons are receiving signals and sending to other neurons in the brain all the time. But not through contact with other neurons. A particular neuron goes close to another neuron to receive a signal from it and also goes close to a neuron to send a signal to it. There is usually a space between neurons during this transfer. This space is called a synapse. This is where neurotransmitters come in. For a neuron to send a signal to another neuron, it sends a neurotransmitter out of its terminal button. The neurotransmitter is the chemical messenger from the chemical-electrical signal that reaches the axon of a neuron. These chemical signals are released into the synapse. They float along this space and connect in a lock-and-key fashion with ‘receptors’ in the walls of the dendrites of the receiving neuron. 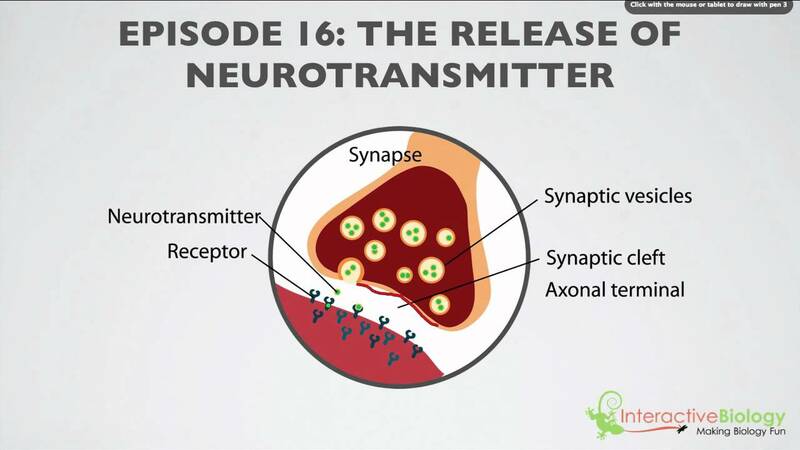 When the neurotransmitters connect with the receptor of the receiving neuron at the postsynaptic side of the synapse, they activate the signal in the receiving neuron. At this point, the neurotransmitters are now free again in the synapse. Most times, these neurotransmitters are recalled back into the giving neuron through the terminal button at the presynaptic side. These neurotransmitters are now available in the neuron so that they can be fired again if there is a need to. This process is called reuptake. This process occurs repeatedly in the brain and helps the brain to function properly. It helps the brain to power your organs to work effectively. It also helps you to make decisions. Even though in some cases, like drug addiction, your brain may be pushing you to take wrong decisions due to alterations made to it by drugs. Dopamine: it helps to regulate motor behavior, emotional arousal, and pleasures related to motivation. Many pleasurable experiences increase dopamine release in the brain. Many addictive drugs are agonists of dopamine. Some of them help in the release of the neurotransmitter or in the prevention of its reuptake. Direct agonists that increase the effects of dopamine in the brain include apomorphine and bromocriptine while indirect agonists include cocaine, Amphetamine, Methamphetamine, Adderall, Methylphenidate, MDMA (ecstasy), etc. Antagonists that works to reduce the effects of dopamine include neuroleptics, metoclopramide, domperidone, etc. High levels of dopamine in the brain has been linked to schizophrenia. Most of the drug used in the treatment are dopamine antagonists that reduce dopamine activity. Low levels of dopamine have been linked to Parkinson’s disease. It has been found that when substantia nigra, an area in the midbrain, loses dopamine-secreting neurons, it could lead to Parkinson’s. Epinephrine (Adrenaline): this neurotransmitter is released in the adrenal glands and brainstem. It helps to become and stay alert, plays a role in sleep. It also helps with the fight-or-flight response when you're in danger. This helps you to react fast and could be the difference between life and death in some cases. Norepinephrine (Noradrenaline): it’s released in the central nervous system and the sympathetic nerves. It works on focus, alertness, formation, and retrieval of memories, and sleep patterns. Its production is usually low during sleep and it increases while you're awake. However, epinephrine is at its highest during the fight-or-flight response which is necessary during danger. Glutamate: this is the most common neurotransmitter. It’s an excitatory neurotransmitter and has this effect at over 90% of the synapses in the human brain. The glutamate is found mostly in the brain and spinal cord. It acts mainly on modifiable synapses. These are synapses that can extend or decrease in length. They have been deemed the main memory-storage elements in the brain. When too much of glutamate is released in the brain, it can lead excitotoxicity. When a brain undergoes this, it’s overstimulated and this can lead to seizures or stroke. Excitotoxicity has also been connected to diseases like epilepsy, Alzheimer’s disease, Parkinson’s disease, etc. Acetylcholine: this is the first discovered neurotransmitter. It’s released at the neuromuscular junction and it helps to activate muscles. Its agonists include nicotine, muscarine, cholinesterase inhibitors, etc. while antagonists include tubocurarine, atropine, etc. It performs important functions in the brain like enhancing alertness when we wake up, sustaining attention, arousal, motivation, and memory. Most of the addictive qualities of nicotine are caused by its effects on the nicotine acetylcholine receptors in the brain. GABA (Gamma-Aminobutyric Acid): this is the second most common neurotransmitter after glutamate. It’s an inhibitory neurotransmitter and has this effect on 90% of the synapses that do not use glutamate. Many sedative drugs act by enhancing the effects of this neurotransmitter. Other agonists of GABA include alcohol, barbiturates, benzodiazepines, chloral hydrate, etc. Its antagonists include bicuculline, cicutoxin, gabazine, picrotoxin, etc. Opioid peptides: these are peptides that affect parts of the brain responsible for motivation, emotion, attachment behavior. They also respond to stress and pain and control food intake into the body. These peptides connect to the Opioid receptors in the brain. Endorphins in the body produce these peptides. Also, drugs like Opioids produce these similar effects on the brain. That is why Opioids are usually prescribed to be painkillers. Agonistic drugs: these are drugs that excite the actions of a particular neurotransmitter. This means it enhances the actions of that neurotransmitter. It makes more of these neurotransmitters available in the synapse. If the neurotransmitter is excitatory, it makes it even more excitatory. If on the other hand, it’s an inhibitory neurotransmitter, agonist drugs make it more inhibitory. One of the ways it makes this possible is to prevent the giving neuron from reuptake of the neurotransmitter. When this occurs, there are more neurotransmitters in the synapse. For a neuron to send a signal to another neuron, it sends a neurotransmitter out of its terminal button. The neurotransmitter is the chemical messenger from the chemical-electrical signal that reaches the axon of a neuron. Another way these drugs agonize neurotransmitters is to spur increased production of the neurotransmitter. This means neurons release more of this neurotransmitters than they normally produce. This also leads to more neurotransmitters in the synapse to increase the effect of that neurotransmitter. Another way this type of drug can improve the action of a neurotransmitter has nothing to with production or reuptake of the neurotransmitter itself. In this case, the drug goes into the synapse and activate the receptors of the receiving neuron. This has the same effect as if a neurotransmitter has activated the receptor. Antagonistic drugs: these drugs usually reduces the effect of a particular neurotransmitter. This means it will either make an inhibitory neurotransmitter less inhibitory or eliminate its effects altogether. This type of drugs works in similar ways to the agonistic drugs even though they're working in different ways. One way it functions is to reduce the production of neurotransmitters in a neuron. This makes fewer neurotransmitters available when the neuron needs to fire. Another way it works is to block the receptors of the receiving neuron. When the drug enters into the synapse, it attaches to the receptors of the receiving neuron. But it does not activate it. Apart from that, it prevents neurotransmitters from giving neurons to activate the receptors as it is already attached to it. This slows down the effect of such a neurotransmitter or eliminates it. One other way this drug antagonize is to cause neurotransmitters to leak out of their containers in the terminal button, and into the fluid of the presynaptic neuron. This reduces the number of neurotransmitters that can be fired when the neuron needs to release them. Most abused drugs are agonist drugs. Because they usually enhance the effect of the neurotransmitters they affect. In this section, I’ll be discussing some drugs, the neurotransmitters they affect and how they affect them. When the body feels severe pain, the body is usually unable to create enough Opioid peptides to relieve the pain. This is why Opioids are usually prescribed as painkillers. Opioids include drugs like hydrocodone, oxycodone, methadone, codeine, heroin, morphine, etc. Opioids like heroin are not prescribed and are illegal for usage. Opioids attach themselves to Opioid receptors in the brain which improves the effect of opioid peptides. These Opioids have the same effect as the as the Opioid peptides. The release of dopamine provides enough relief for their pain. However, Opioid users tend to get addicted to the drug over time. This is because the brain, after a time, craves the rewards of the drug and tell the user to seek the actions that led to those rewards. Thus, a user of this drug gets addicted to it and keeps on using it to continue to gain the rewards. 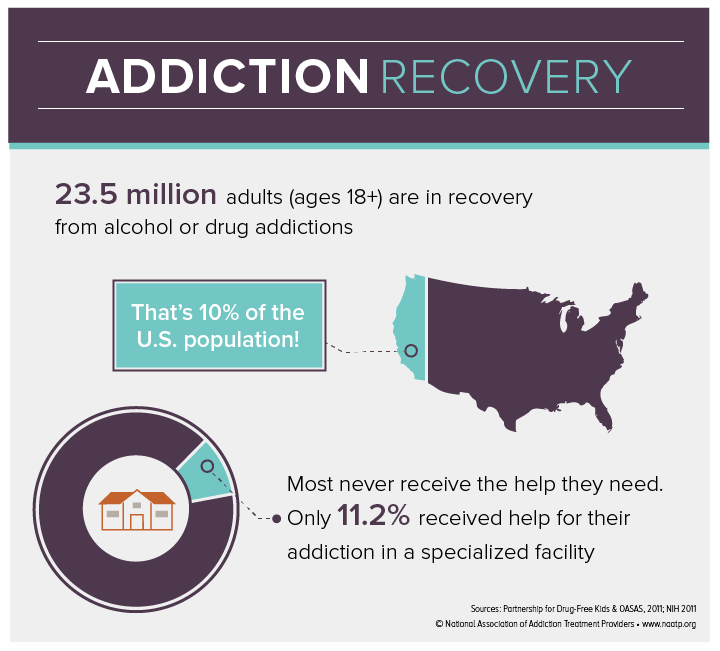 To treat this addiction, the user has to undergo detox and visit a rehabilitation center. This is probably the best option available today. 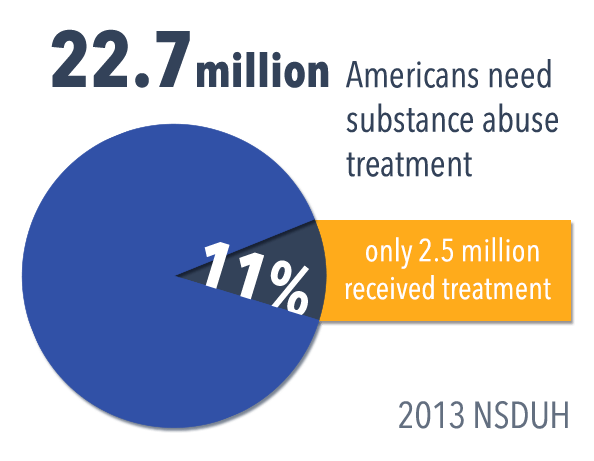 If you or your loved one is among the 22.7 million Americans that need substance abuse treatment, getting a quick help is critical. Combination of these treatments helps with both the physical and psychological effects of the drug. Will treatment reverse all the negative effects of opioid addiction on the brain? It’s difficult to say for sure. But anybody can get treated for the addiction and continue to live their lives healthy. Most importantly, they’ll be able to get treatment through other medications when they feel pain. This drug works majorly on the dopamine neurotransmitters. It also works on norepinephrine and serotonin neurotransmitters. It's an agonist that helps to improve the actions of dopamine in the brain. It prevents the reuptake of dopamine into the presynaptic neuron. Since the function of dopamine is to give pleasurable feelings, someone using cocaine will feel more pleasurable than someone whose brain is producing it without help. It also gives more feeling of confidence due to secretion of serotonin and increases in energy from nor-epinephrine. The fact that this drug increases dopamine levels is one of the factors that aid users’ addiction to it. Due to these feelings, the user may become addicted to the drug. After a period of usage, the user’s brain can adapt to the drug so much that the postsynaptic membrane of neurons has to create new receptors to cope with the overload of dopamine. When cocaine is injected or inhaled, its effect can be felt by the user in few seconds. This effect usually lasts between 5 and 90 minutes. However, the problem with cocaine use is that this feeling wears off as the drug leaves the user’s body system. This may cause the user to feel depressed since they need the drug to have that pleasurable feeling again. It’s an agonist of GABA. It helps to improve its functions. This in turn leads to effects such as sedation, memory impairment, and muscle relaxation. Alcohol also has an inhibitory effect on glutamate which slows down brain activity and energy levels. By exciting the function of GABA and inhibiting the effects of glutamate, alcohol successfully slows down important functions of the body like thoughts, speech, and movement. This is why someone who is intoxicated by alcohol will probably have slurred speech, stagger, and fall over chairs and knock their heads on the table. Alcohol inhibits the cerebral cortex where thought processing and consciousness occur. This slows down the information they receive through their eyes, ears, and other senses. It also makes it difficult for them to think clearly. It also inhibits the cerebellum which controls movement and balance. Alcohol affects the hypothalamus and pituitary which regulate automatic brain functions and hormone release. This effect can increase sexual urge but reduce sexual performance. It’s never intentional for a drunk to fall over. It’s just that alcohol has instructed their brain to control them like that. Apart from all these, alcohol improves the dopamine release which attaches a reward to the act. This encourages the user to continue usage -- so that they can get the rewards. This drug serves as an agonist of postsynaptic dopamine, norepinephrine, and serotonin receptors in their neurons. It achieves this by stimulating the release of these neurotransmitters. It enters into the terminal button of the presynaptic neuron and forces the dopamine molecules out of their storage vesicles. This releases the dopamine into the synaptic gap. It also prevents their reuptake in the presynaptic neuron. Both processes make sure that there is an excess of dopamine between the neurons. This improves mental focus, the ability to stay awake, and the power of concentration. Anybody who uses it will feel no need for sleep and food. This effect often occurs about 15 to 30 minutes after the usage of the drug and can last for hours before the effects wane in the body. However, after a period of usage, the body builds tolerance for the drug which may require a user to use more of the drug to have the same effect. This can sometimes lead to overdose. Overuse of the drug can lead to a negative effect like amphetamine psychosis which includes hallucinations, paranoia, and symptoms that resembles schizophrenia. This drug has become popular over the years. It’s similar to amphetamine and is derived from it. They have similar effects on the brain. However, meth seems to work faster when used. It’s also a bit more dangerous as it is easier to get addicted to it. One other difference is that methamphetamine is illegal. Amphetamine can be prescribed for medical purposes whereas meth can’t. Cannabinoids are usually found in marijuana. Research has found that cannabinoids affect many neurotransmitters including glutamate, GABA, norepinephrine, dopamine and acetylcholine. This drug, due to its effects on the hippo-campus and the orbitofrontal cortex, can cause impaired thinking and interfere with a user’s ability to learn and perform complicated tasks. It also affects the function of the cerebellum and the basal ganglia. These are the areas responsible for regulating balance, coordination, posture, and reaction time. Due to this, people who use this drug may be unable to drive safely or play a game or engage in any physical activity that requires proper coordination. When people overdose on marijuana, they may go through delusions, hallucinations, delusions, and confusion about their personal identity. This drug, usually present in cigarettes, binds itself to and activate the nicotinic acetylcholine receptors. This acts to replicate the effects of acetylcholine at these receptors. Nicotine also activates areas of the brain responsible for feeling pleasure and reward. Scientists have found recently that this drug increases the level of dopamine in some areas of the brain. Dopamine is one of the main reasons people get addicted to drugs like cocaine and heroin and could also be one of the reasons it’s difficult for people to quit cigarettes. One other neurotransmitter nicotine stimulates is the glutamate, which is involved in memory and learning. The brain also produces more endorphins when nicotine is present in the brain. Endorphins serve as natural painkillers and could encourage the habit of smoking to get more of the feeling. If two people take the same amount of drug daily, will it have the same effect on both of them? If they continue this for a long time, will they get addicted at the same time? No. This is because when it comes to drugs and how it affects people, the genes also play an important role. Essentially, people’s DNA is 99.9% similar and only 0.1% different. But this 0.01% difference accounts for about 3 million base pairs of DNA sequence out of the 3 billion in a human being. This accounts for differences like height, color, resistance to diseases, etc. 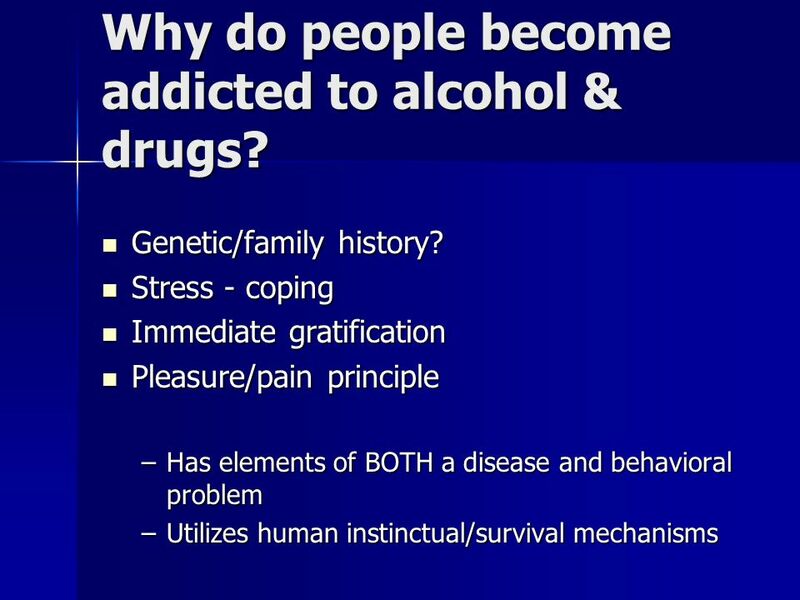 Due to the genes of some people, it’s more difficult for them to get addicted to a drug. Even when they get addicted, they’re able to break their addiction faster. There is also the concept of epigenetics. This is about the idea that environmental factors can change some parts of the DNA due to the information they take in. This means two people who are born with identical DNA, let’s say an identical twin, can still end up having differences in their DNA if they grow up in different environments. The concept of genetics is especially useful when medical professionals are trying to treat someone addicted to drug. For instance, a study by Lerman C. Schnoll RA, Hawk LW Jr, et al. published in the Lancet Respir Med. 2015 found that people who metabolize nicotine normally found better help using varenicline for treating their addiction while people who metabolize nicotine slowly found better help with a nicotine patch. For various types of addictions, there are similar modes of treatments for them. Most treatment to break addiction usually starts with detoxification (or detox). Addicts are usually given treatments that reverse the actions of the drug they have been addicted to. This is the physical treatment. The next stage is usually for counselling. This is where there’ll be personal counseling or group counseling where you meet other people who are trying to break the addiction. This is the psychological treatment. Both the physical and psychological treatments are important to break an addiction successfully. Registering with a rehabilitation center makes this process easier as they already have many plans you can choose according to your needs or budget. It is impossible to separate the effect of drugs and how they impact neurotransmitters. Because a drug has to have various effects on the neurotransmitters in the human brain before it can affect human feelings and influence human action. When a drug is taken orally or through an injection, the final aim of the drug is to get to the brain, through the blood. Drugs administered orally usually gets to the blood slower and takes a long time before it can have an effect on the brain. After a period of time using a drug, the body usually builds tolerance for the drug and the user will need a bigger dose to maintain the same effect. This is when drugs begin to program the neurons of the brain to the changes in neurotransmitters it has caused. The most affected neurotransmitter is the dopamine which is a kind of reward center. These changes in the neurons and neurotransmitters usually affect how the body system of a user functions. Initially, they may reap benefits from the drug. But over time, these benefits are diminished and they have to deal with the side effects that can sometimes be dangerous to human life. In many cases, the damages done to neurons in the brain are irreversible even after treatment of the addiction. But this is not to neglect treatment. With adequate treatment, an addict can still live a healthy life and get most of the vital functions of their brain back.